Robby Poblete Foundation earns highest GuideStar recognition in transparency. BAY AREA, Calif. - March 6, 2019 - PRLog -- Robby Poblete Foundation today earned the Platinum GuideStar Nonprofit Seal of Transparency, the highest level of recognition offered by GuideStar, the world's largest source of nonprofit information. By sharing metrics that highlight progress the Robby Poblete Foundation is making toward its mission, the organization is helping donors move beyond simplistic ways of nonprofit evaluation, such as overhead ratios. "In accordance with our belief in being transparent about our work, we are excited to convey our organization's results in a user-friendly and highly visual manner," said Pati Navalta Poblete, founder and executive director of the Robby Poblete Foundation. "We can now easily share a wealth of up-to-date organizational metrics with our supporters as well as GuideStar's immense online audience, which includes donors, grant-makers, our peers and the media." To reach the Platinum level, Robby Poblete Foundation added extensive information to its Nonprofit Profile on GuideStar: basic contact and organizational information; in-depth financial information; qualitative information about goals, strategies, and capabilities; and quantitative information about results and progress toward its mission. By taking the time to provide this information, Robby Poblete Foundation has demonstrated its commitment to transparency and to giving donors and funders meaningful data to evaluate the Robby Poblete Foundation. The foundation has established quantitative and qualitative metrics for each of its programs: Gun Buyback (http://robbypobletefoundation.org/rpf-gun-buyback-program/), Art of Peace (http://robbypobletefoundation.org/art-of-peace/), and Work in Progress vocational program (http://robbypobletefoundation.org/work-in-progress/). "We're thrilled that our GuideStar Platinum Nonprofit Profile and its associated benefits help us better communicate our organization's exciting initiatives at a national scale," said Poblete. 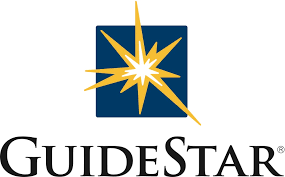 The GuideStar database contains a profile for every tax-exempt nonprofit registered with the IRS, sharing a wealth of up-to-date information with the more than 8 million people who visit GuideStar to learn more about nonprofit organizations each year. www.guidestar.org.